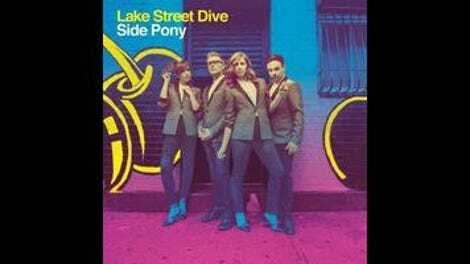 The title track of Lake Street Dive’s new album Side Pony represents everything appealing and confounding about the band. It’s an insidiously catchy song, with a sound somewhere between 1990s neo-soul and cocktail jazz, featuring lyrics that equate a quirky hairstyle with confidence and independence. It’s not hard to imagine “Side Pony” becoming a left-field hit—an “All About That Bass” for fans of R&B/roots-music revivalists. But if it breaks wide, what does that say about Lake Street Dive? That they can make an old-fashioned sound relevant to a modern audience? Or that they’re good at cranking out novelty numbers? That anyone would even care enough to ask that question is a testament to how hard—and how smartly—the band has worked over the past five or six years. After spending the latter half of the ’00s gigging and recording intermittently, the quartet of New England Conservatory Of Music alums became a more serious ongoing project around 2010. The 2012 covers EP Fun Machine—and its popular promotional video of the foursome singing “I Want You Back” on a Boston street corner—drew enough notice to get lead singer Rachael Price to negotiate her way out of a solo contract with another label. Then in 2014 Lake Street Dive released the gritty, snappy album Bad Self Portraits, and around the same time took advantage of a series of big breaks: a Letterman TV spot, an appearance on the bill at an all-star Inside Llewyn Davis concert, and so on. Side Pony is dotted with songs that’ll likely kill if the band gets a chance to perform them on a late-night show—or in the right online video venue. The gussied-up Motown vibe of album-opener “Godawful Things” is both toe-tapping and funny, with lyrics thanking the lord for all the terrible events that drove the singer’s partner into her arms. “Spectacular Failure” is a sassy put-down of an inept lover, while “Can’t Stop” digs into disco, and the fiery “Hell Yeah” practically demands the audience get up and move. But aside from that last track, those other Side Pony standouts don’t hold up so well on repeated spins. Once the band’s joke’s been told, Lake Street Drive loses its punch. Far more effective over the long haul are songs like the loud, bluesy “I Don’t Care About You,” the gentle mid-tempo soul ballad “How Good It Feels,” and the gospel-inspired “Close To Me.” And yet none of those immediately leap out like “Side Pony,” a song that lodges so deeply in the head that after hearing it once it’s impossible to see those two words side-by-side without singing them. Lake Street Dive members are a good-looking bunch, with a strong fashion sense; and Price’s bandmates Bridget Kearney, Mike Calabrese, and Mike Olson are all crackerjack musicians and gifted songwriters. These four are easy to like… at least in short bursts. If Side Pony boosts the band’s fanbase—as it should—it’ll be fun to see if Lake Street Drive can round itself out into something more than skilled pastiche-artists with a puckish sense of humor. These guys and gals excel at catching the eye and ear. But what can they do once they have everyone’s attention?